Chondrilla nucula is small, coffee to pale greenish brown coloured sponge. 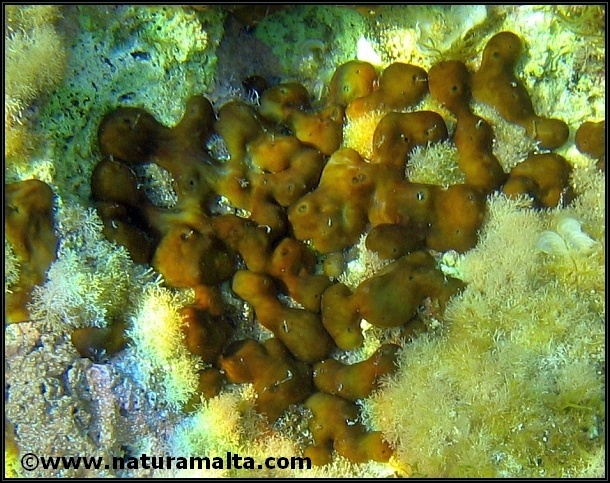 The pale coloured 'variety' is usually found in shaded areas where light is low and the algal symbiont does not grow. In shallow water the sponge is darker and is easily identified in the field. The shape of this sponge is very variable.